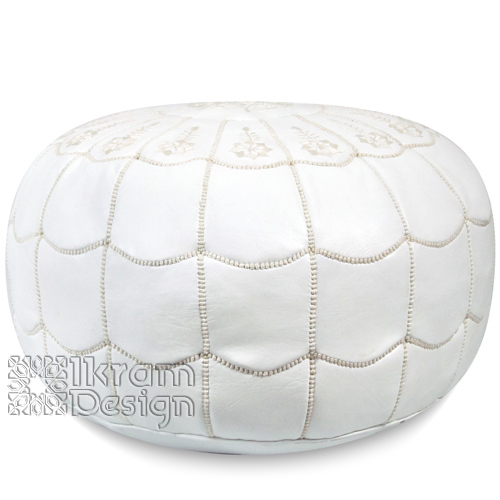 Calm, classy, and elegant, you can consider a white Moroccan pouf for any room in your house. It will add sophistication to your home as well as being an interesting, yet comfortable, piece of practical furniture. This is a great color for any room of the house.